For the last four or five years, I have made a little garden in my back yard. I grow tomatoes, zucchini, herbs, cucumbers, peppers, eggplant, garlic, and a variety of lettuce. Over the past two or three years, my little helpers have actually gotten quite into it. Today, my five year old was helping me weed the garden, and I realized how many language concepts we were using in an everyday activity. As we were weeding, he made sure to tell me that he would, "only pick the little ones, not the big ones." I thought, "wow! We could be working on basic concepts!" After that, I started thinking about all of the different speech or language skills we could work on as SLPs, and what we could advise parents to work on at home too. Gardening is a great way to bond as a family, and a great time to take a moment out and just talk without other distractions. Here are some pictures from my garden. 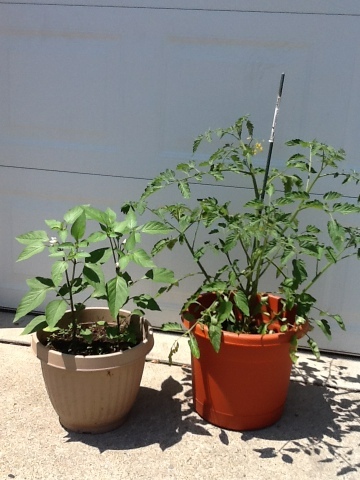 I have pots of some tomatoes, peppers, and flowers. I also have a big garden in the back of my yard, that is full of vegetables. Counting: How many plants in a row? How many tomatoes are on the plant? How many zucchini has the possum eaten this summer? 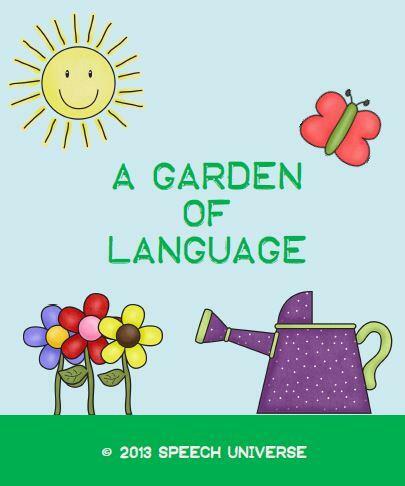 I found a book that looks really cute to help get children involved in gardening. It looks like there are a lot of great tips and ideas to get some plants growing. The name of the book is: Kids' Container Gardening: Year-Round Projects for Inside and Out and is available on Amazon for $13.46 for the paperback edition or $9.59 for the Kindle edition. You could also work on garden vocabulary with this cute FREEBIE! 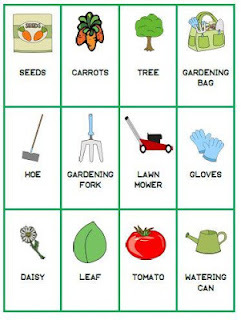 It is a garden vocabulary bingo game. 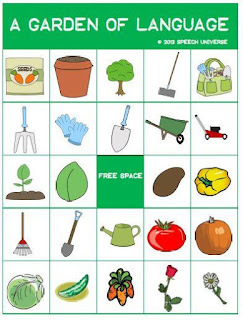 You can get A Garden of Language: Vocabulary Bingo at my TpT store HERE! I am by no means a master gardener, I just like to play around. I probably do a lot of things wrong, but we have a lot of fun with it, and in the end get some great veggies from it! I hope you are inspired to do some gardening with a little one in your life. It could be with your own kids, or maybe start a couple of potted plants with some students that you work with. Either way, I hope you have fun! Thanks! It is so fun!